You may have heard that content is king in social media marketing. And that is true. But what many social media newbie marketers do not fully understand is the difference between using other people’s content (Content Curation) and creating your original content. When we created our social media courses and talked to some of our participants in the „Social Media Growth Basics“, I realized how important it is to be fully aware of where and when it makes sense to use other people’s content. And you need to be aware what results from social media marketing you will never get without your original content. First, let’s look at what we are talking about here. Content curation is the art of finding, processing and sharing content that was originally created by someone else. There are various types of content curation. The term content curation includes everything from sharing other people’s content on your social channels to using the content to create your own content, for instance in blog posts that collects „the best content of 2015“ or an article that compares several different opinions on one topic. With regard to social media, content curation usually refers to the collecting and sharing of other people’s content like blog posts, videos or infographics on your own social media channels. The practice of social media content curation is great for adding value to your social media accounts especially when you do not have enough original content (yet). Often when you are starting out with your social media channels, you cannot satisfy the constant need for more valuable content with your content you or your company created. Then content curation can help you build your social media audience – even totally without own content as you can provide value to your accounts by sharing (curating) what other people created. What content curation cannot do! Now, you may think: Why do I need to create my own content if content curation is enough to grow a social media audience? 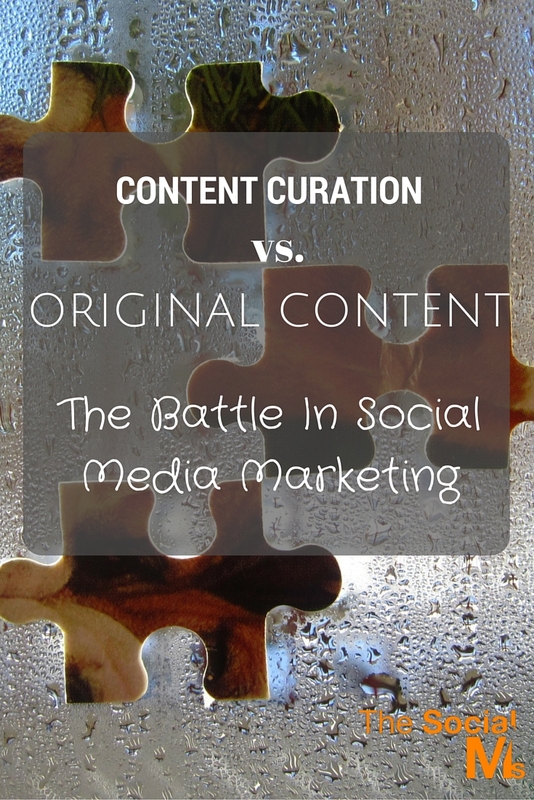 It is true that content curation can help you grow a social audience. If a social media audience is what you are looking for and nothing else, then content curation may be enough. However, I am pretty sure, when you think about it, the social media audience you are growing is only a means to get something else… If you are only looking for an audience to brag, content curation may be enough. Traffic, Sales, and a brand cannot be built on curated content. While you may manage to get an accidental sale or some fame for being a great source of information, other people’s content always means that you do not provide anything. And your audience is not stupid. They realize that the content is not yours. You will not grow trust and trust is the foundation of sales. Curated content will also not help you grow traffic. Because curated content will send website visitors to other people’s websites where the content can be found. Why do I need to create my own content if content curation is enough to grow a social media audience? What can original content do that content curation cannot? Your original content can give you a lot of benefits. You can drive traffic to your own website – where you can capture a percentage of your website visitors as leads and eventually drive sales. Your own content will also help you build your reputation as a knowledgeable person. Directing your social audience to various pieces of helpful and valuable pieces of content will also help you build your brand. The quality of the content you share with social media and the value your audience gets out of it are crucial to your social media marketing success. Many people try to add value to their social accounts through content curation and game the process by adding own crappy content to the mix. For the real social media marketing success, the requirements on your own content are at least as high as to the curated content. Rather create fewer pieces of content but make sure they are of high quality. After all, you are trying to build a reputation and trust. Bad content does not help that. That is not going to work well. If you create original content, make sure it is the best you can make. For social media marketing content is irreplaceable. And one piece of outstanding content is not enough. 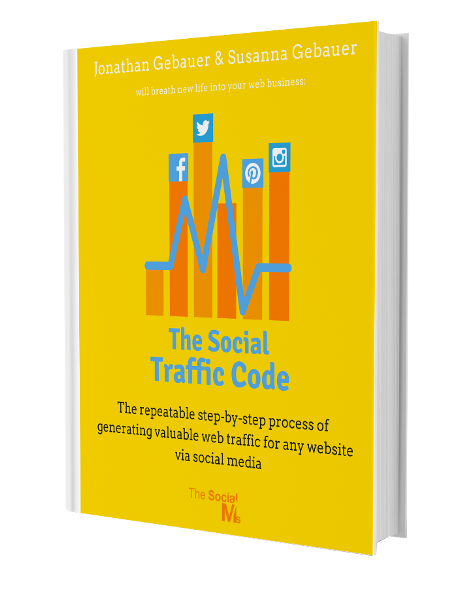 You need a constant stream of valuable content to keep your social media accounts active. The more original and great content you have, the more value you will get out of your marketing efforts: The more traffic you can drive and the more leads and sales you will be able to gather. Your own content has impact that curated content cannot have: it shows who you are, what knowledge you have. Some glimpses of your personality or company culture that come through in your content will also not hurt your success. So why use content curation at all? So why use content curation at all? The magnificent thing about content curation is: You can use other people’s content to grow your audience long before you have a product and your original content. Or when you do not have enough own content to keep your accounts active you can add curated content to the mix. Once you have more own content you can then use this audience to drive success. Since one hard truth of social media marketing is that it takes a while to build an audience, starting early on to build your audience – even if it is with curated content – will give you a head start. It would not have saved me from the need to create my own content with my own voice, but I would have had an audience to share it with right from the start. Content Curation is great to help you build your audience when you do not have enough of your own great quality, valuable content to share on your social media channels. Your own original content is what will give you the real social media marketing success.